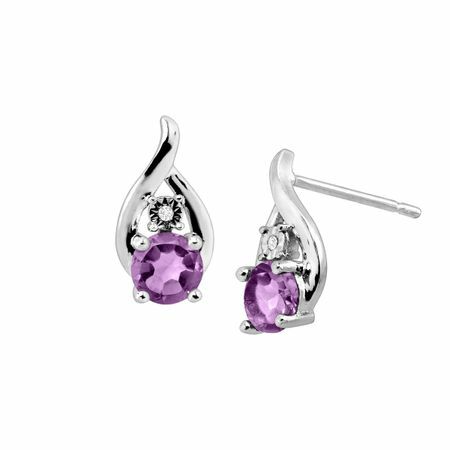 Add a delicate touch of elegance to her look with these effortless amethyst studs. Nothing says you care like these luxurious accessory pieces. Round-cut natural amethysts, totaling 1 ct, suspend from a sterling silver-crafted teardrop design and feature round-cut gleaming diamond accents. Pieces measure 1/2 by 1/4 inches.